We can use computer games in experiments to find out about animal perception, and how it differs between our predator types. Humans have the same perception as Vervet Monkeys so with the help of FoAM Kernow's Dave Griffiths we are using online games as a form of 'citizen science'. 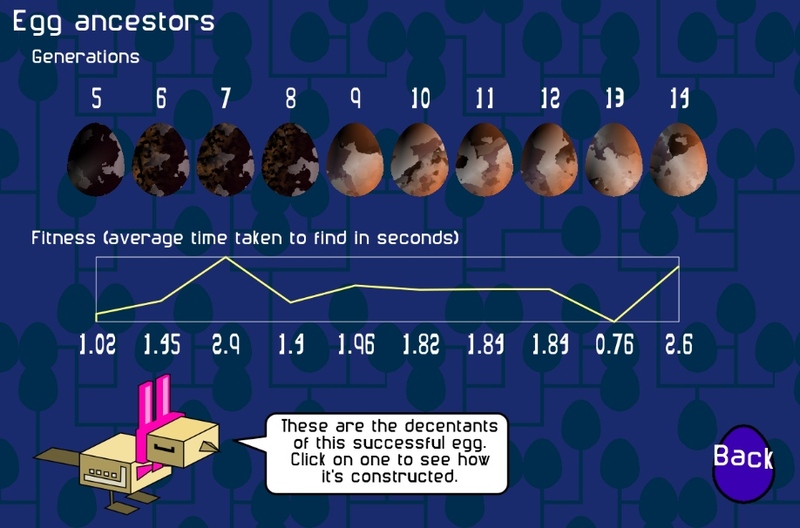 Help us create camouflaged eggs with Easter Robot Nightjar's Egglab game! Put you skills of spotting camouflaged birds and nests to the test. Compete with other players to get a top ten place! Read more on the development of the games (and upcoming ideas) here. 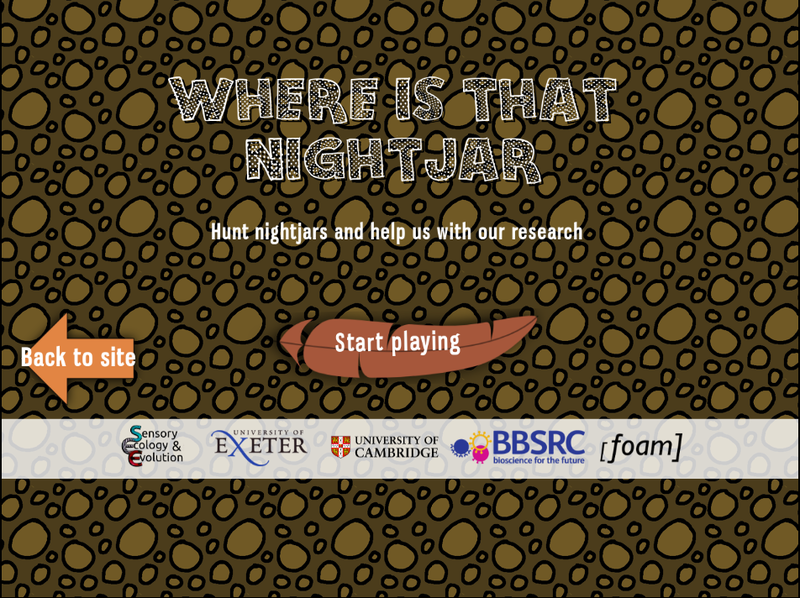 All our games are open source, check out the code for where is that nightjar, where is that nest and egglab. 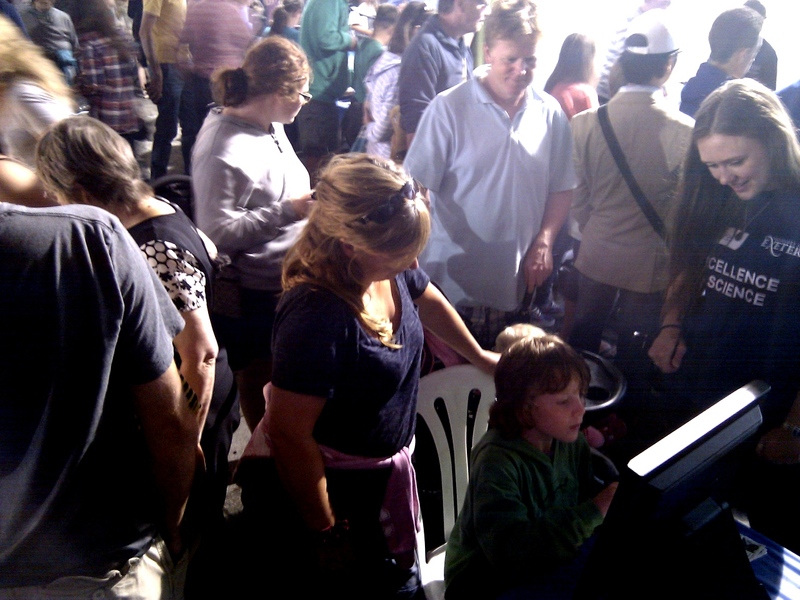 "Where is that nightjar" being tested at the Science in the Square event. The intro screen to Where is that nightjar?